If a planet always faces the same side to the sun, so that it has a permanent night side and a permanent day side, it will have a twilight zone in between the two sides. This will be a band around the planet which permanently has conditions similar to dusk/dawn. If the day side is too hot and the night side is too cold to support life, how wide could a habitable twilight zone be? What factors would affect how wide it could be? How much variation would there be within it, and would there be a sharp cut off where it becomes uninhabitable or a gradual drift into extreme heat or cold? If the planet is tidally locked, the main determining property of the planet will be the heat transport from the warm to the cold side. There are two main heat transport mechanisms: Air currents (wind) and ocean currents. North is the direction away from the sun, south is the direction towards the sun. That is, it gets colder and darker as you go northwards. East and west are the directions perpendicular to that, as usual. That is, in east-west direction, the brightness will be constant (except for terrain influences). The basic mechanism will be that the air/water will heat up and therefore rise on the southern side, and cool down and therefore sink on the northern side. For air, what you'd experience is the lower part of the air flow. Therefore there would be a constant cold wind flowing from the cold to the warm side. The main influences on that wind would be mountains and oceans. Mountains can block winds if they are in east-west direction. They will not block the wind in north-south direction, but if shaped right, they might increase the speed, and therefore would allow the wind to get further before it warms up. Also note that if the air goes over the ocean (especially if the ocean is warmer than the air), it will contain more water. If it then is forced to go over an (east-west) mountain, the water will condense and rain/snow down there, leaving condensation heat in the air; when the wind goes down it will therefore end up warmer than when it started (so-called Foehn wind). Of course if it is too cold north of the mountain, there will be no open ocean (free of surface ice) to draw water from (that might locally be helped using volcanism; even if the heat itself is insignificant, it might be enough to provide a significant open water area). In the north, the extra cooling by the wind is unwelcome (it's pretty cold anyway). Therefore you'd preferably have east-west mountains north of the habitable zone; a well-placed east-west mountain in the north might be able to extend the habitable zone there, ideally with open water north of it. On the south side, the extra cooling would be most welcome; north-south mountains would be ideal. However very much in the south (ideally just at the end of the extended habitable zone), you'd again want east-west mountains in order to collect the water from the air before it goes off into the southern desert. Also note that mountains could generate local wind patterns that differ from the predominant north wind. Eddies could even transport warmer air a bit to the north. Another point about habitability is the height. The air gets colder the higher you get, and therefore you could live in the mountains in the south where at sea level it already would get too hot. That's another reason why you'd want mountains in the south. Also note that in the shadow of a mountain (that never moves!) it will be colder than in the direct sun, so also those shadows might increase the habitable zone. Especially note that in/near the twilight zone you'll have very large shadows. Another thing to consider is the air composition. On one hand, you want greenhouse gases. Greenhouse gases not only make the planet warmer that it would be otherwise; by keeping the heat longer in the atmosphere, it also allows for more equal distribution. That is, a tidally locked planet which has less incoming radiation, but a higher greenhouse effect to achieve the same average temperature will have a larger habitable zone. On the other hand, if there's much dust in the air (possibly because of lots of volcanism), the light will get more scattered, and therefore you'll get a more evenly distributed lighting (and a more impressive coloured sky/sun). Note that more dust will likely also reduce the average temperature. Finally, there's also the refractive index of the air: The sunset on earth appears to be later than calculated from pure geometry because the air bends the light downwards. Therefore on the tidally locked planet, the twilight zone would be moved slightly to the north, leaving a larger area of the planet illuminated. The illuminated area would be the larger, the larger the refractive index of the air is. For ocean currents, you experience the upper side of the ocean, so the main effect of the ocean currents will be to transport heat from the south to the north. For example, Europe is much warmer than to be expected from the latitude thanks to the Gulf stream. Note that ocean currents are much more complex because of the continents, but as general rule you'd want to have oceans in north-south direction to enable northwards ocean currents. Also note that an ocean current could also be the reason why some northern oceans are ice free to provide a water source for the Foehn wind. Another point to consider is that the orbit might be slightly elliptic (most planet orbits are). In that case, the tidal lock will not be perfect, but the planet will apparently "oscillate" a bit around the lock position (because the planet's rotation is constant speed, but due to the elliptic orbit the revolution is not). Note that this is also the case for the earth's moon: It doesn't always show exactly the same side to the earth. Such a slightly elliptic orbit would then cause seasons in some parts of the twilight zone (it also would have a seasonal effect on the total incoming radiation due to the varying distance to the central star). Basically, the sun would rise/lower a slight bit in the course of a year. Since that apparent rise would also distribute the incoming stellar radiation over a larger area on average, it might also increase the inhabitable zone. Provided there is earth-like atmosphere on the planet, there is several scientific articles which try to answer this question. For example Joshi 1997 or Joshi 2003. The most recent is probably Yang 2013. In his article, there are very interesting maps of cloud cover (page 1) or temperature including the cloud cover (page 5). According to these calculations, the mean temperature difference between the substellar point and the twilight zone is approximately 70 kelvins. Articles of Joshi give only about 40 kelvins or less. If you ask about habitability for humans, the reasonable temperature range for them is probably 0 C - 30 C, which according to Yang would be probably from equator (latitude 0°) to latitude 40°. Joshi would probably give even more. Since extremophillic organisms manage temperatures around 80° C or more, they could inhabit the whole insulated hemisphere. It is also important to note that higher atmospheric density means higher flow and smaller temperature differences. On the contrary, thinner atmosphere means higher temperature differences. Calculations in the articles are for aquatic planets. Over large continents, temperature on the insulated hemisphere will be much higher (30 - 50 kelvins more?). I do not know about many articles on this, though. The width of the zone will directly correlate with the size of the planet. Twilight / dusk is where the sun is 6 degrees under the horizon (for earth), so this part of the world will be almost perpendicular to the sun. A larger planet will have a much more gentle curve to it, allowing a larger area of the planet to be in twilight / dusk. Variation and cut off would be defined by the width of the zone. A narrow zone will have little variation but a sharp cut off as the zone has little influence on the hot and cold sides. A wider zone would have a larger amount of variance between the hot side and the cold side, but a more gradual cut off. Last question first: No, there will be no cut sharp. Moon has no twilight because it has no atmosphere: Sun is on sky or it is not, period. But Earth has atmosphere so we have some times, twice a day, when Sun is not on sky but there is some light around. These are twilights. And note that they both are with Sun not on sky, so on a tidally locked planet the twilight zone would be both a TV series and a band in the dark side touching the terminator line. It is not evenly distributed in both bright and dark side. The denser and higher the atmosphere is, the bigger the twilight zone. The variations on it would be the same as in our twilight. Really, it would be mostly the same as our twilight in all aspects, except weather. Weather in our twilight zone includes winds from still-hot sea to already-cold land (breezes), which are transient at dusk, and from already-hot land to still-cold sea (transient, at dawn). In a permanent twilight zone, this can not happen so easily, since it would draught all atmosphere into cold zone quite fastly. But the same thermodynamics applies, so you will need to have a permanent breeze, near the surface, and an also permanent counter-breeze higher on the atmosphere, equilibrating the pressures on bright and dark side. Need to say that twilight zone is not equivalent to habitable zone. There will be more room for life in the bright zone, near the terminator line, where Sun is always on sky but low on sky and thus bringing small amounts of light and heat. In these zones you'll have permanent shadows cast by mountains and trees, and so a very diverse biome, from siberian taiga to Sahara desert, before reaching non habitable zone. Since bright zone can have oceans, you can also have big evaporation, and thus enormous clouds and storms, which make the not-too-hot zone even bigger. With a dark enough atmosphere, even the entire planet could be habitable! Evolution is remarkably good at finding solutions to living in the harshest of conditions. The bottom of the Mariana's trench is at over 100 MPa, total darkness, and nearby hydrothermal vents rest comfortably at 400 degrees C. In those environments, we have found life. Waterbears are known for being able to survive at 1 degree above absolute zero or the vacuum of space for several minutes. Nature is really good at finding ways to habitate areas. I would expect to see a gradient as one approaches the inhospitable parts of the landscape, where we see lower forms of life because there is less incentive to get more complicated or more intelligent. We'd see more sharp edges if the planet was truly tidally locked. Realistically, there will be SOME wobble, however slight, generating areas where mid-range temperatures exist. Those blurry areas would allow evolution to start exploring solutions to adapating. If with habitable we mean: "Supports photosynthetic plants that serve as a basis for local ecology" this is simple enough. It is the portion of the planet that receives sunlight, which is roughly half of it. This obviously assumes optimal hydrosphere and atmosphere giving habitable temperature for all of the planet. In practice, there would be lots of variables that would make it less or more than that. If with "habitable" we mean "habitable to humans without high technology" and the planet is sub-optimal in its water coverage, there might be inhabitable hot area and nobody would live at the extreme edges. If we don't care particularly about humans, the answer would be more than half the planet due to currents carrying plankton to the dark area and the area that gets light actually being somewhat larger than half due to wobbling and the size difference between the star and the planet. The number you want is somewhere between these two ends. I really think that "roughly half" is the best "generic answer" you can get. Also note, with chemosynthesis the dark side could actually have active, and quite interesting, ecology. If we assume active volcanism (quite reasonable, actually) and drop the requirement for photosynthesis as the base for ecology, all of the planet might support life. This is actually probable for planets with native life. Life is really good at spreading itself. And chemosynthetic life is generally assumed to be very early development. Come on folks, stay current. The world you are working on here is an Eyeball Planet... Look it up. :> Such a world is possible and many probably exist. The colony in the twilight area would be stable, sustainable and would be able to use a stretch of world 25 thousand miles around and perhaps 2,500 wide. All that would be livable area as the streams running through from the ice side (water melting from glaciers, etc. as it approaches the warmth) would be running through to the hot side where it evaporates and fall again as rain on the dark side. Upper population limit would be perhaps a billion, unless a Soleri-style arcology was used, or more likely a group of them. Venus could have become an Eyeball world with just a little tweaking. Not the answer you're looking for? 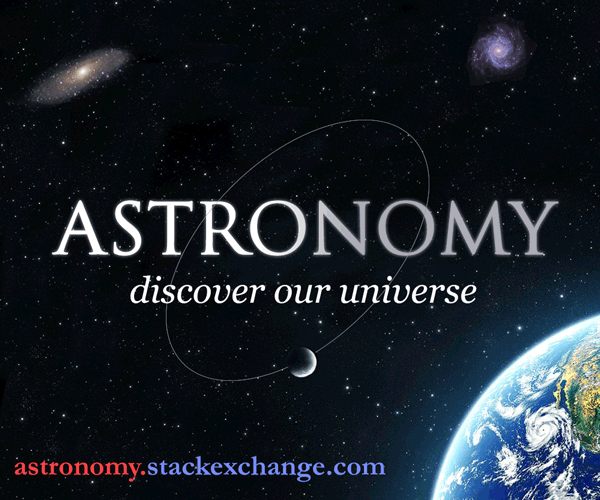 Browse other questions tagged science-based planets environment or ask your own question. Is a Terminator line(twlight zone) wide enough for people to live in? What would weather look like on a world with a 9-year day? How to explain it rains only/always when there is no daylight? Could two binary planets become habitable under these conditions? How would be an earth-like planet with its axis pointing to its sun-like star?